Manta Ellis came out shooting hot and led his Mavericks to a 105-102 victory over the Wizards handing them their first home loss of the season. Bradley Beal scored 21 points in his season debut with a wrap around his wrist and all. It was noted that he was on a minutes restriction coming into this game but that “minutes restriction” quickly changed as the game was tight right down to the very end. This was a close battle between two teams off to nice starts to begin the season. The Wizards have mostly been beating up on bottom feeding eastern conference teams to this point so this was their biggest challenge of the season to date. The lead seesawed the whole game particularly in the 4th quarter. The Mavericks were able to pull away towards the end with some timely shooting from J.J. Barea, Dirk, and Chandler Parsons who didn’t shoot particularly well throughout the game but hit big shots when they needed them. There are some good things to take away from this loss. Marcin Gortat had a VERY quiet 17 points. Paul Pierce chipped in with 17 as well. It was nice to see him get back in a groove and shoot 6-10 from the field and 3-5 from three point land after some poor shooting performances in prior games. Although he didn’t light up the stat sheet, Otto Porter had some nice hustle plays and hit two big three pointers in key moments of the game. Kris Humphries was his usual self, throwing his body around and hitting some nice corner jump shots. This game ultimately came down to defensive stops and mental toughness. The Wizards couldn’t produce either. 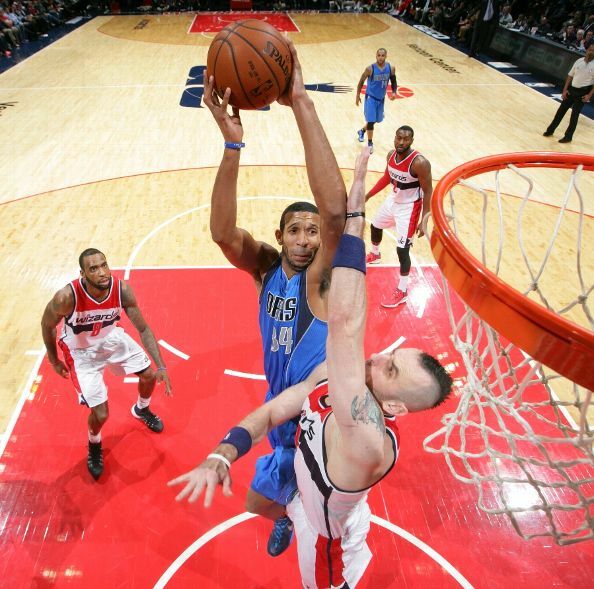 Brandon Wright and J.J. Barea carried the load for the Mavericks in the 4th quarter including some eye popping dunks. Additionally, the Wizards were a bit sloppy with the ball in the second half. Lastly, with the Wizards down 3, John Wall rushed and took a 3 with 26 seconds remaining when the Wizards did not need that shot. The Wiz drop to 7-3 with Cleveland coming into town on Friday.